On behalf of admin of JML Law, A Professional Law Corporation posted in Car Accident on Wednesday, Nov 07 2018. Proper car maintenance is arguably the most critical step each driver must take to minimize the risk of car accidents caused by a poorly maintained car. And just because your vehicle is adequately maintained it does not mean that all other vehicles, which share California roads with you, are properly maintained. Since vehicle maintenance often has nothing to do with defects, you cannot sue the manufacturer of a car for a car crash caused by a poorly maintained car. That’s because the vehicle was safe for use when it was sold, and it was the car owner’s responsibility to maintain the vehicle. Our Los Angeles car crash attorney at JML Law explains that car owners are solely responsible for maintaining their vehicles and ensuring that all the functions and systems in their vehicle are in a good condition. 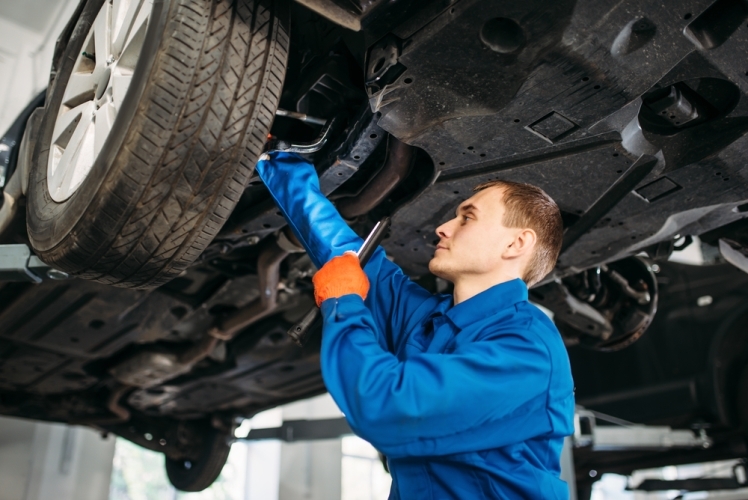 Unless, however, the vehicle was improperly repaired and maintained by a mechanic, who, in that case, may be held liable for his or her negligence. Do note, however, that car drivers cannot be held responsible for each and every malfunction in their vehicle. Drivers are held liable for poor vehicle maintenance only when they knew or reasonably should have known about the malfunction, and failed to do anything to fix it and prevent the crash. Oil. Check if there are any leaks. Even if there is no oil leak in your vehicle, regular oil change is a very simple vehicle maintenance task. Do note, however, that you may be required to change the oil in your vehicle in compliance with the instruction and recommendations outlined by the manufacturer of your vehicle. Tire pressure. In order to check the tire pressure, you will have to invest into a handheld gauge. But trust me, it is a crucial investment that could potentially save your life and the lives of your family members. This small tool can help you prevent a tire from becoming flat or blowing out. Consult with a mechanic to learn what the correct tire pressure is. Power steering fluid. These three words may not mean much to you, but they are a critical part of proper vehicle maintenance. Monitoring the level of power steering fluid is important to keep the ride smooth (vehicles with worn-out or terminated power steering are difficult to control). If there are any creaking or other odd sounds around the area of the steering wheel, it is a tell-tale sign that your car is running low on power steering fluid. Brakes. It goes without saying that brakes are arguably the most important aspect of a vehicle maintenance routine. In fact, since repairing and maintaining brakes is such a delicate matter, it is highly advised to let the brakes in your vehicle be monitored by a professional mechanic. Alignment. Since alignment affects how your vehicle maneuvers while in motion, it is highly advised to regularly check the alignment, and adjust it when necessary. Coolant and antifreeze. Winter is just around the corner, which is why you should pay extra attention to your vehicle to ensure that sufficient antifreeze keeps your vehicle rolling in a proper condition. Checking the coolant is equally important, because you would not want your vehicle to overheat when it runs out of coolant. Have you recently been in a car crash and have a reason to believe that your or the other party’s vehicle was poorly maintained, which caused the accident? Consult with our Los Angeles car accident attorney at JML Law by calling at 818-610-8800.